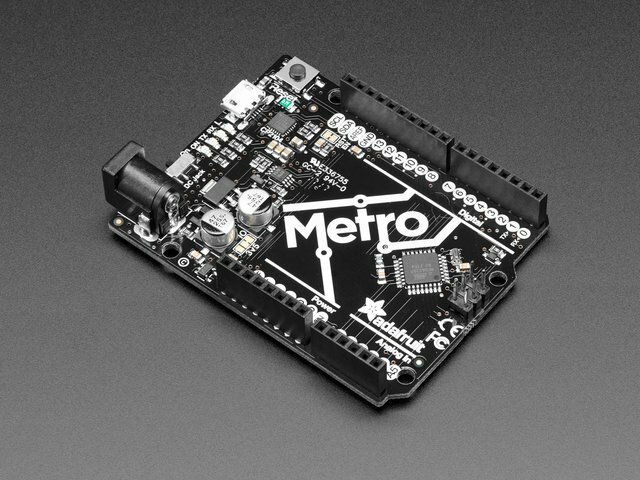 The shield plugs in directly into any shield-compatible Arduino such as Duemilanove, Diecimila, UNO, Leonardo, Mega R3+, ADK R3+. The only pins required to run are the Ground, 5V and SDA + SCL I2C control pins. For backwards compatibility with old Ardunos, SCL is connected to A5 and SDA is connected to A4. UNOs already have this connection on board. If you are using a Leonardo or Mega and want to use the A4/A5 pins, cut the traces on the top of the board between A4 and A5 and the two pins next to them labeled SCL/SDA. This shield has two power supplies. One is VCC - that is the 5V power from the Arduino, it is used to power the PWM chip and determines the I2C logic level and the PWM signal logic level. When this power supply is working you will see a red LED. The red LED must be lit for the Arduino & shield to work! Plug in the Arduino to USB or a wall adapter to provide it. To power servos you will need to also connect the V+ power supply - this is the power supply for the servos. 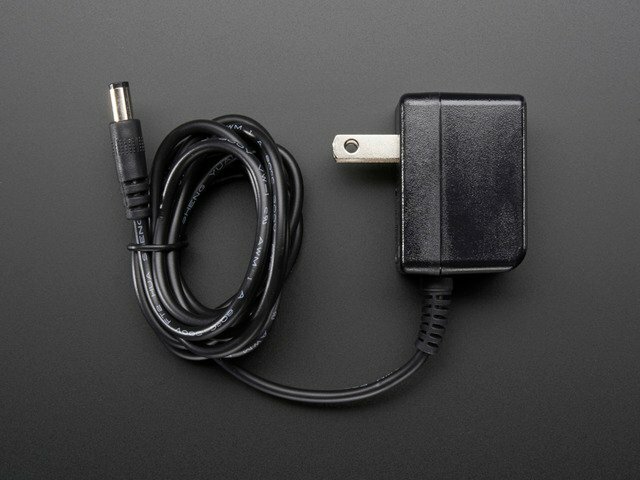 (If you are lighting up single LEDs you may not need this power supply.) This power supply should be 5 or 6VDC. 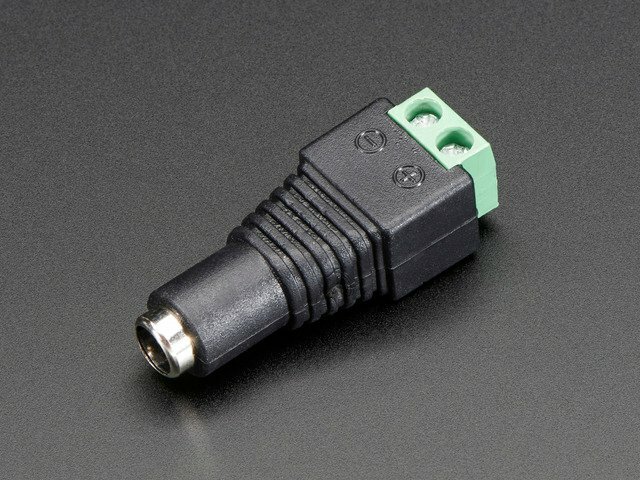 You can connect this power through the blue terminal block. 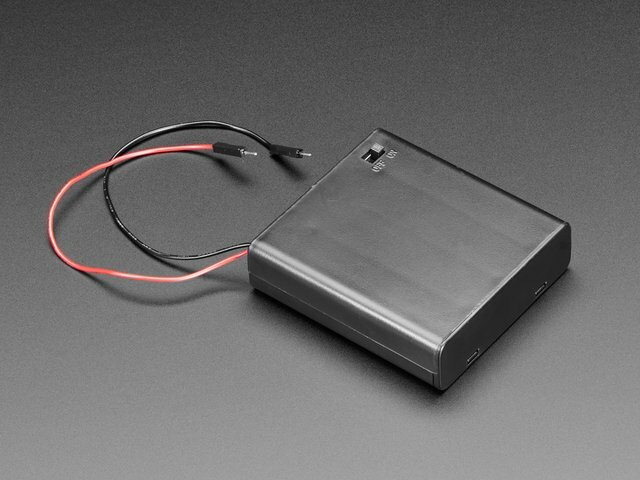 There is reverse-polarity protection in case you hook up power backwards. 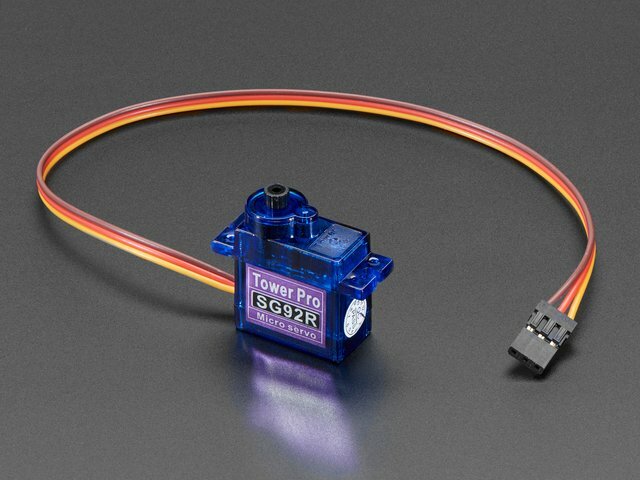 SERVOS CAN USE A LOT OF POWER! 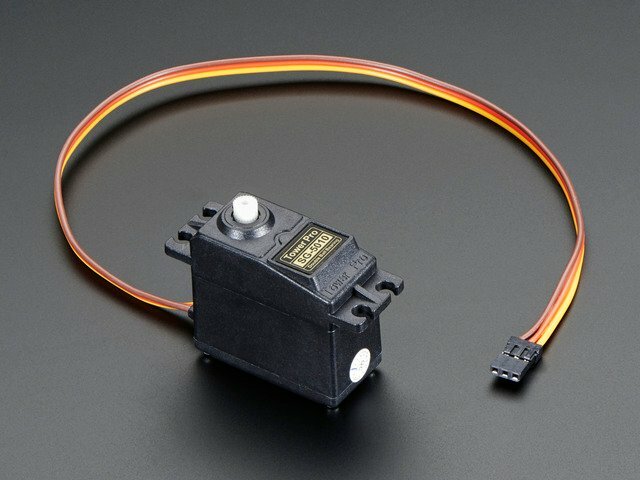 It is not a good idea to use the Arduino 5v pin to power your servos. Electrical noise and 'brownouts' from excess current draw can cause your Arduino to act erratically, reset and/or overheat. 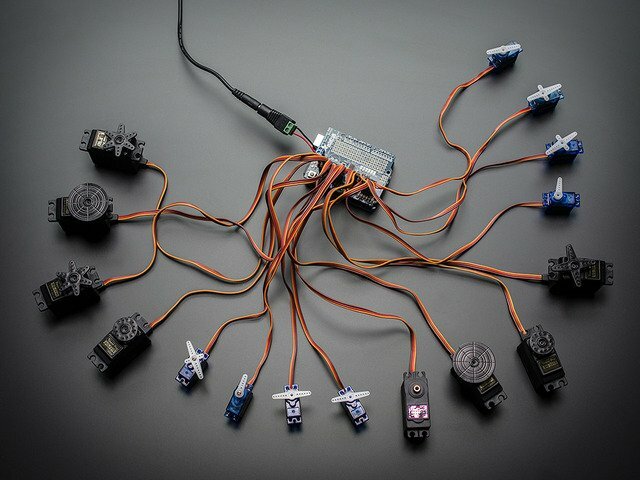 Up to 16 servos can be attached to one board. If you need to control more than 16 servos, additional boards can be stacked as described on the next page. This guide was first published on Jun 20, 2013. It was last updated on Jun 20, 2013.